In the Martin & Sylvia: Saturdays! 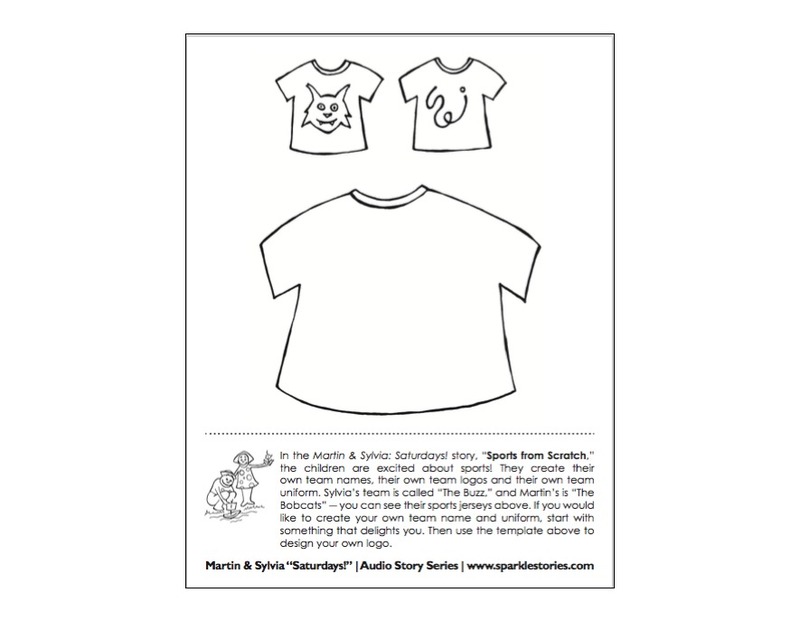 story, “Sports from Scratch,” the children are excited about sports! They create their own team names, their own team logos and their own team uniform. Sylvia’s team is called “The Buzz,” and Martin’s is “The Bobcats” - you can see their sports jerseys above. If you would like to create your own team name and uniform, start with something that delights you. Then use the template above to design your own logo.